Our designer silver quadruple toggle light switch is the perfect finishing touch for a contemporary room with industrial textures. It has a strikingly robust steel plate and retro metal toggles to create an authentic factory style vibe. Place on matt grey or white walls in a minimalist kitchen to add contrast and texture. Choose from silver, white, gold or black toggles and complete your look by coordinating with our range of matching silver switches, dimmers and appliance switches. Stunning. 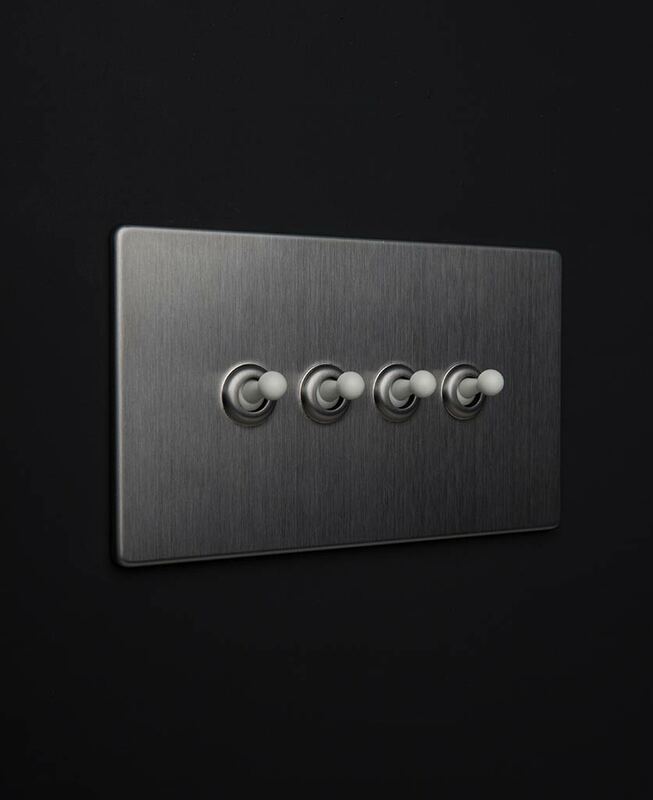 Our designer silver quadruple toggle light switch features a brushed steel plate and retro toggles. Its fittings are completely concealed to create a minimalist look and it’s also LED compatible. Perfect.